Bradshaw St Pharmacy is an Independent Pharmacy that takes great pride in the quality of their service and aims to be the first choice for medicines management and healthcare needs. They provide an extensive range of pharmacy and dispensing services to local and surrounding areas. A high impact web site was required to reach potential customers effectively and to serve and support their existing customer base. We produced a website that provides a modern web presence with a fresh design that is easy to navigate and provides useful information to new and existing customers. 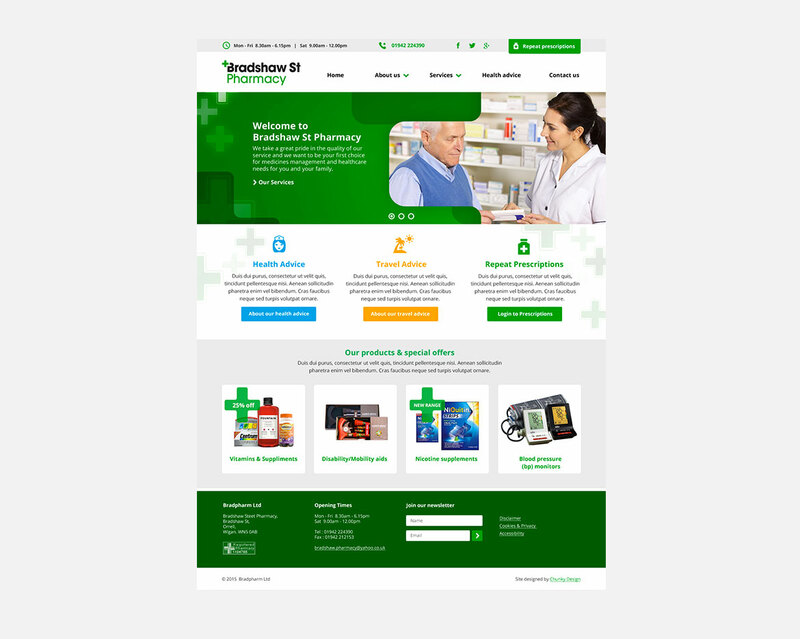 The design also conveys to potential customers that the Pharmacy is a professional and caring pharmacy with a comprehensive range of healthcare products and services. 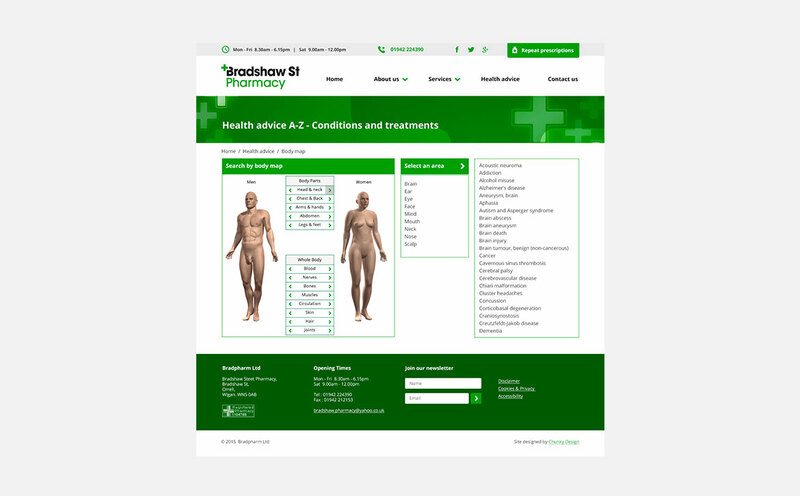 The site includes general information and a healthcare section that provides information and advice on more than 800 conditions and treatments via NHS Choices.